Some of the themes have rounded profile picture, some themes don’t. If the demo has rounded profile picture, you just need to crop your photo to 1:1 resolution, using your phone image editor (vsco, snapseed, or instagram) and upload the image to your wordpress library. 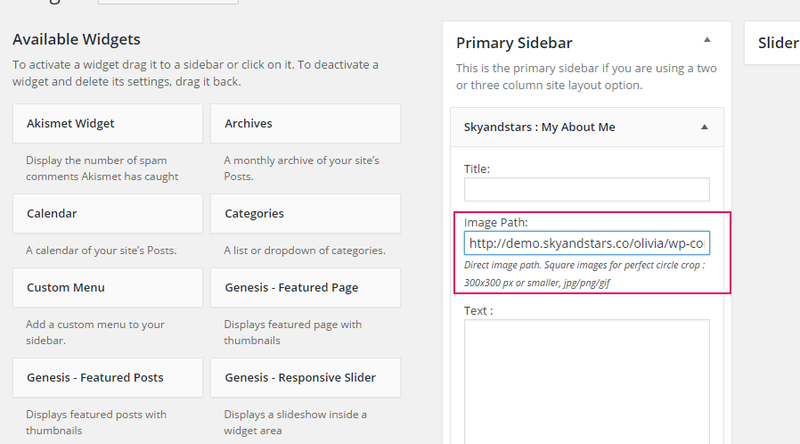 Go to Appearance –> Customize –> Primary Sidebar, Select Skyandstars : My About Me widget and add to your primary sidebar.